HomeSanyoGENUINE SANYO RC-1304-OA RC1304OA TV Remote Control. This remote control is bought directly from SANYO and is the exact same remote control supplied with your original SANYO product. 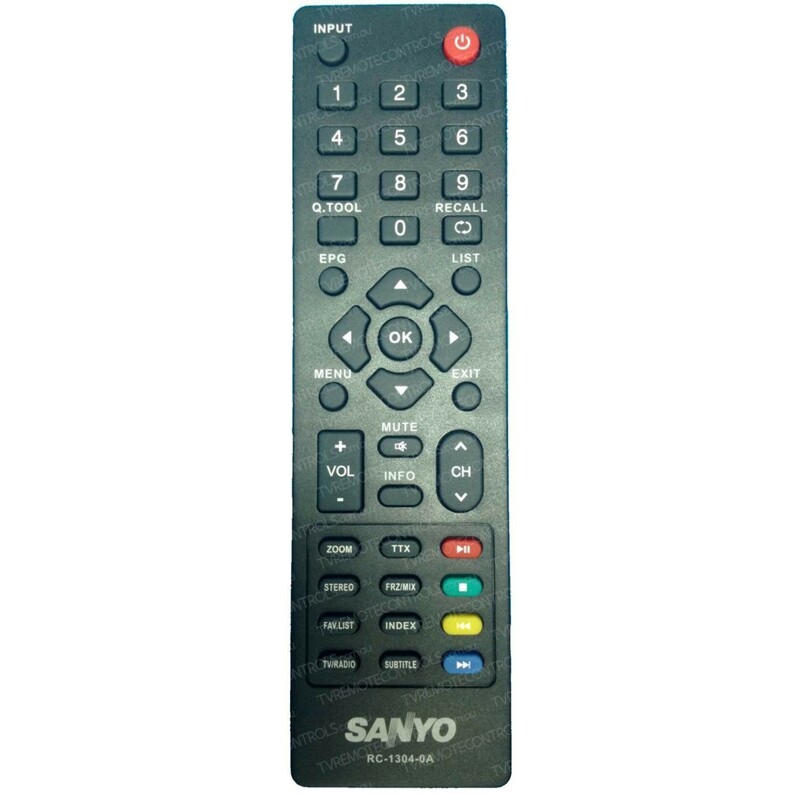 Genuine SANYO Remote Control Type:? RC-1304-0A, ?RC13040A, RC1304OA, RC-1304-OA, XI6011300401. Suitable for SANYO Models:? ?LCD24XR12F, LCD32XR12F, LCD39XR12F, LCD50XR12F, LED46XR123D, LCD-24XR12F, LCD-32XR12F, LCD-39XR12F, LCD-50XR12F, LED-46XR123D.